If you’re a cancer patient, there’s a milestone moment when you realize your doctor is no longer trying to save your life, simply extend your life. That moment came for me a few weeks ago when Dr. David Ellison, chief of Oncology for Roper St. Francis Healthcare, suggested I try Provenge, a new treatment to slow the progression of my prostate cancer. Now, we all know we’re not going to live forever. That’s a given. But when you’re 64 you think you might have another pretty good run left in you. Cancer, however, has other ideas. Since I was diagnosed with prostate cancer in 2007, I’ve been through surgery, radiation, and hormone therapy. While each treatment has kept my PSA (protein specific antigen) numbers under control for a while, they keep creeping back up. Luckily, my cancer is still in the “micro” form, meaning there are still cancer cells in my body, we just don’t know where they’re going to attack. Periodic scans of my body look to see if it has metastasized in my lungs or brain or honed in on my bones. So far, it hasn’t landed. But that doesn’t mean it won’t. The next step in trying to stop this disease early is Provenge, an expensive and controversial treatment that has been used in men with advanced, or late-stage, prostate cancer, where it is believed to have extended life by four or more months. Now, doctors say, the treatment might work even better if it’s used earlier in the process. I say “might,” because they really don’t know for sure. Even though Provenge is now being advertised on television, the jury is still out on the long-term value of this $100,000 treatment. But, the FDA has approved it, so here we go. Beginning this month, I will report to the Red Cross center in Mount Pleasant where they will take my blood from one arm, run it through a separator to obtain white blood cells, then put the blood back in the other arm. This takes 3-4 hours. 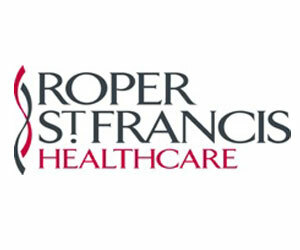 Three days later, at the Roper St. Francis Cancer Center, the blood cells that were extracted from me will be returned to me in the form of a vaccine designed to jump-start my immune system in order to attack the cancer cells in my body. This will be repeated three times over a five-week period. Needless to say, there are needles involved, something I’m not crazy about. To harvest the blood, they stick you with some pretty big ones in both arms to take and return the blood. Then, later in the week, they stick you again to inject the vaccine. There also is a pretty long list of “infusion reactions,” including chills, fatigue, fever, loss of appetite and back pain, but there are always side effects.